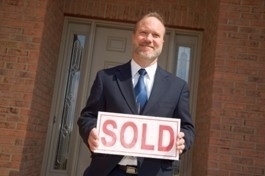 Existing-home sales got back on an upward path in November 2010, resuming a growth trend since bottoming in July, according to the National Associ ation of REALTORS®. Existing-home sales, which are completed transactions that include single-family, townhomes, condominiums and co-ops, rose 5.6% to a seasonally adjusted annual rate of 4.68 million in November from 4.43 million in October, but are 27.9% below the cyclical peak of 6.49 million in November 2009, which was the initial deadline for the first-time buyer tax credit. Lawrence Yun, NAR chief economist, is hopeful for 2011. “Continuing gains in home sales are encouraging, and the positive impact of steady job creation will more than trump some negative impact from a modest rise in mortgage interest rates, which remain historically favorable,” he said.